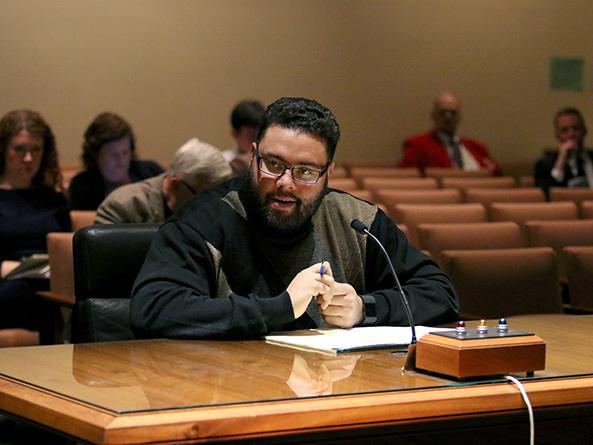 The Revenue Committee heard testimony Jan. 26 on a bill that would add a fifth individual income tax bracket for Nebraskans earning at least $2.5 million annually. 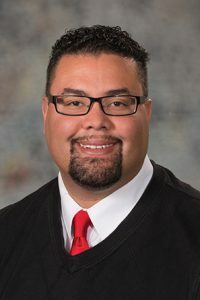 Introduced by Omaha Sen. Justin Wayne, LB728 would create a new bracket with a rate of 7.84 percent for individuals earning at least $2.5 million and at least $5 million if married filing jointly. The current top individual income bracket, with a rate of 6.84 percent, includes those with incomes of at least $58,000 if married filing jointly and at least $29,000 if filing as an individual. The state Department of Revenue estimates the bill would increase state income tax revenue by approximately $4.8 million in fiscal year 2018-19 and a further $11.7 million in FY2019-20. Wayne said he introduced the bill because he thinks it is unfair that Nebraskans earning $29,000 a year are taxed at the same rate as those with much higher incomes. He said LB728 would increase state tax revenue at a time when the state is facing deficits—without hurting job creation. “I don’t believe that a marginal 1 percent tax increase on those making $2.5 million or more a year would have any effect on our economy,” he said. Renee Fry, executive director of the OpenSky Policy Institute, testified in support of the bill. She said Nebraska’s wealthiest individuals pay a much lower effective tax rate than the 6.84 percent top marginal rate. A 2017 tax burden study published by the state Department of Revenue found that the top 10 percent of Nebraska taxpayers pay an effective rate of 4.86 percent, Fry said. Very few people move because of tax rates, Fry added, and millionaires in particular rarely respond to tax increases by moving. Testifying in opposition to the bill was Joseph Young, executive vice president at the Nebraska Chamber of Commerce and Industry. He said Nebraska already has the second highest marginal income tax rate among neighboring states, and 90 percent of the state’s businesses pay income taxes at the individual rate. Nicole Fox, director of government relations for the Platte Institute, also testified in opposition to the bill, saying that only California, New York and Washington, D.C. have implemented a “millionaires’ tax” like that proposed in LB728. Since the early 1990s, she said, more than $3.5 billion in adjusted gross income has left Nebraska, much of it for Texas, Florida, Arizona and other states that have lower income tax rates or none at all.